In person, she is more blunt, introspective and interesting than she is on the show, willing to express mild irritation that might seem off-key in front of a national audience. She’s also much more likely to explore dark corners of her psyche, regrets, second thoughts, anxieties that linger. And DeGeneres is appealingly open about the tensions in her career between providing a cultural safe space and delivering laughs, and says she has learned to care less about being liked. Spoofing her own approachable, down-to-earth image, her surprising new special, “Relatable” (available Dec. 18 on Netflix), doesn’t just reveal a refreshingly irreverent version of Ellen DeGeneres. It also provides a window into her state of mind. In sharp contrast to her public image as everyone’s good friend, happy to listen, she presents herself — with tongue in cheek — as cartoonishly aloof and indifferent, stuck in a privileged bubble, cracking several jokes, for instance, about her fabulous wealth. (Forbes reports that she earned $87.5 million this year, making her the 15th-highest-paid celebrity in the world.) When she mentions a seat in the 10th row of an airplane, she admits, with practiced cluelessness, that the back of the plane is a mystery to her, asking if the seats even go that far. 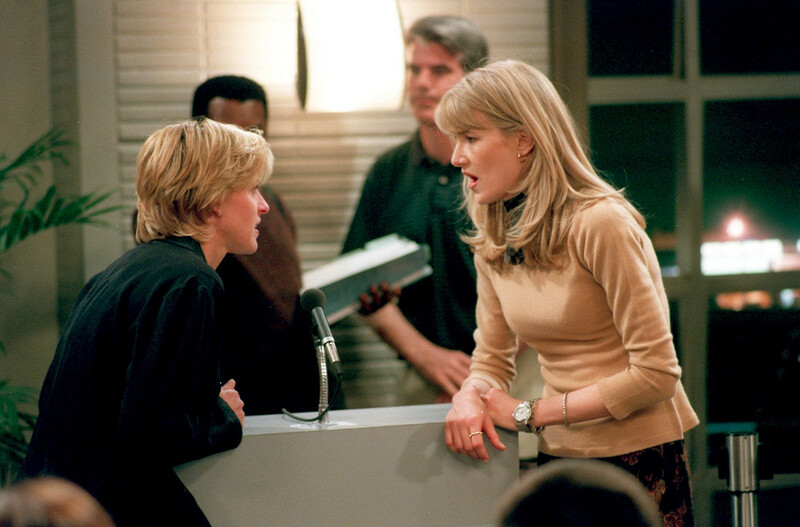 DeGeneres came out publicly in 1997 on her sitcom, opposite Laura Dern. Initially celebrated, she was stung by criticism from gay viewers for not being more political. Because daytime talk shows get less attention than their late-night counterparts, DeGeneres is often overlooked in discussions of important hosts. But make no mistake: No other current daily host has been as successful or celebrated. Among her vast collection of awards are the Presidential Medal of Freedom, the Mark Twain Prize for American Humor and 32 Emmys. And apart from Conan O’Brien, no one matches her television longevity (she’s been daytime host for as many years as Jon Stewart led “The Daily Show”) or her influence. Years before Jimmy Fallon turned games into standard elements of “The Tonight Show,” DeGeneres regularly invited guests to play them. 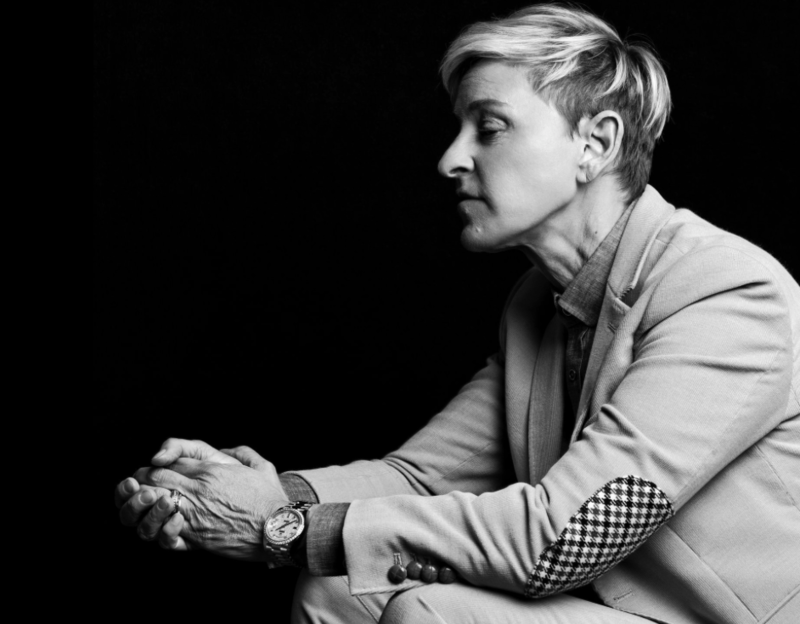 During an October taping of her show, what stood out was the stark contrast between the relaxed, low-key charisma of DeGeneres and the chaotic, charged-up energy of her audience. The crowd is encouraged to stand and dance, but they don’t need to be told; they are ready to party, while DeGeneres projects a seemingly paradoxical blend of warmth and reserve, actively engaging, waving at people, listening intently to guests, adding a quip here and there, but never pushing too hard. With the supreme confidence of a professional who has seen it all before, she pingpongs from a monologue of topical jokes to an interview with a chef dying of cancer, from playfully joking with Sean Hayes of “Will & Grace” to talking to a Tennessee assistant principal whose dance video went viral. Some guests cry. More than one leaves with a big check. DeGeneres is clearly having a good time, but her energy remains steady. She doesn’t look like someone going through the motions, ready to retire, nor does she appear particularly challenged. After the show — without her makeup on, she still looks a decade younger, her alert blue eyes her most distinguishing feature — she sat in an elegantly airy office surrounded by paintings as she analyzed her performance, beat by beat, with the authority of a doctor explaining lab results. THE NEXT MORNING, DeGeneres, in jeans and a casual white shirt, sat staring at the ocean from her beach house outside Los Angeles in Carpinteria, where you can see dolphins leaping from the water. George Lucas lives two doors over, and Conan O’Brien is down the way, as are Ashton Kutcher and Mila Kunis. She has a farm nearby and a place in the city, but she seems to prefer this tranquil spot, where she walks her dogs and chats with neighbors. “It’s the most community I have ever felt,” she said. Her breakthrough, she explained, came when she developed a bit about whether she was still relatable, which, considering the extravagant surroundings (she and de Rossi have works by Richard Serra, Tracey Emin and Basquiat), does sound like a joke. But it is a subject DeGeneres understands in a personal, idiosyncratic way. “It was interesting to me that I was more relatable when I was closeted and dishonest than when I came out,” she said. 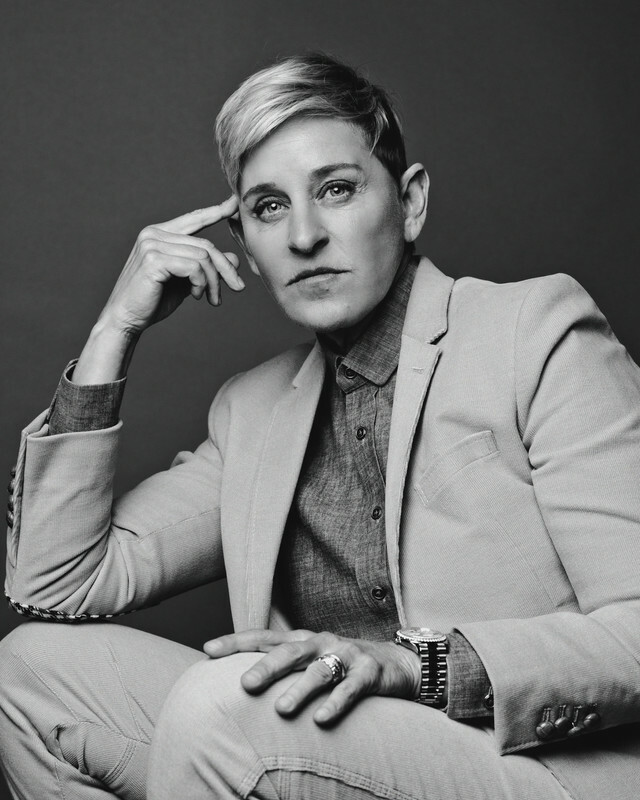 When she came out of the closet in 1997, the first out lesbian lead of her own sitcom, “Ellen,” she became a huge star, on the cover of Time, accompanied by the headline “Yep, I’m Gay.” But what’s remembered less is what happened next. ABC put a parental advisory warning on the show and canceled it the next season. According to DeGeneres, her straight audience left her and she received wounding criticism from gay viewers for not being political enough. (Elton John’s comment that she should stop talking about her sexuality and be funny still stings.) She sank into a depression. And yet, while DeGeneres has a spikier, more confessional style in her new special, this is more of a recalibration than a reinvention. She still dances and shows videos of adorable animals, even though de Rossi told her it was too much like her talk show. DeGeneres’s inclusive sensibility remains fundamental to her outlook. She’s too much of an old-school entertainer to pour out her neuroses onstage, as some comics do. DeGeneres stays off social media and entirely avoids the news. She finds Donald Trump upsetting and dangerous, so steers clear. “I don’t want to put that in me,” she says. AS SHE SPOKE, she glanced at her phone on the kitchen counter, made a call and immediately tensed up. “What do you mean?” she asked urgently. “Is anything broken? Baby!” She put the phone down and explained that de Rossi had been riding, fell off her horse during a jump and sustained a concussion. She was taken to the hospital and was now heading to the beach house. The mood darkened and the interview seemed beside the point. But as she does so smoothly on her show, DeGeneres shifted gears, asking her chef for an iced tea, and explained how her wife had helped her with her new special, attending every performance, giving feedback and appearing onstage. DeGeneres said her wife also had a note about this interview. 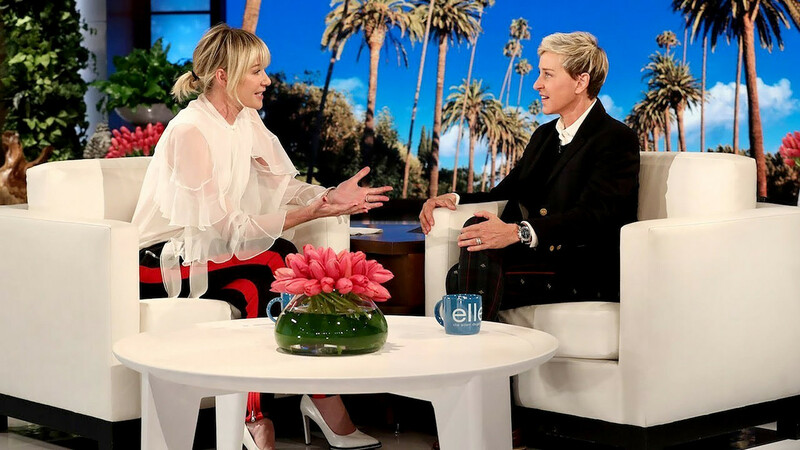 “Portia said: Just remember, the nicer they are, the more they are going to screw you,” DeGeneres said, smiling disarmingly. DeGeneres said that she stopped reading her press years ago, but that she knows what people say. “I hear Portia and I are divorcing every other week or having a baby or whatever,” she said, shaking her head. DeGeneres recently took the option to extend her contract — until the summer of 2020 — although she had been close to declining. On the question of leaving, she changes her mind all the time. Her brother has been an advocate for staying on, making the case that in the age of Trump, the country needs her positive, unifying voice on television every day. “She gets mad when my brother tells me I can’t stop,” DeGeneres said, glancing over at de Rossi to see if she’s gone too far. DeGeneres, who has largely done voice work in film, most famously as Dory in “Finding Nemo,” said she would love to do another movie and play “someone unappealing”; her wife mentions doing radio or a podcast.